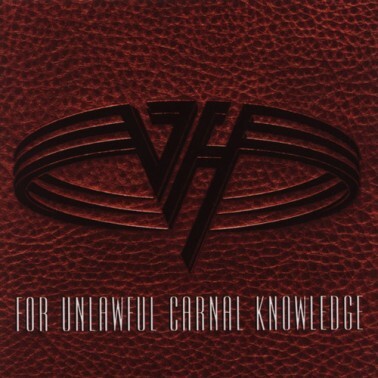 For Unlawful Carnal Knowledge (also known as F.U.C.K.) is the third Van Halen album that Sammy sings lead vocals on. This album debuted at number one on the Billboard 200 album chart, and maintained the position for three weeks. Their tour promoting the album was named F.U.C.K. 'n' Live. "You work me up, I pay my plan" I always thought it was "You work me up a payment plan" The, "My conscience loves to stick around" it sounds to me like "Might cost you less to stick around" Which would make more sense. These are lyrics to In n Out. Give a good listen to "In and Out". Lyrically, it is very insightful, and musically it is awesome. It has become my favorite track on the album. Poundcake, Judgment Day, Runaround, Pleasure Dome, The Dream is Over, Right Now, 316, and Top of the World absolutely rule the rocking world. This was the first album with a few fillers, but they were great too. This Grammy winner was much deserved. I was 12 when I first saw the "right now" music video, and now, 20 years later, I feel the same emotion... My older sister bring home that record, ir was amazing, I remember play it over and over and over again! My sister hates me when the record broke up Sorry!!!! VH was the biggest band in the world to me at this time. This album was huge to me as a guitarist. With this CD I saw Van Halen in Mexico City for the first time in 1992, amazing show, I canÃƒÆ’Ã¢â‚¬Å¡Ãƒâ€šÃ‚Â´t believe it what IÃƒÆ’Ã¢â‚¬Å¡Ãƒâ€šÃ‚Â´m seeing, it was a dream come true, Van-Hagar really rocks in Mexico. i first bought this album on cassette when I arrived for training at Fort Leonardwood, MO. From the time I heard the power drill at the beginning of Poundcake to the harminzing on Top of the World, this became my favorite Van Hagar album - and I say Van Hagar as a good thing - Sammy joining Eddie was a great time in music history as they both made some awesome music and developed more as artists. This is my all time favorite album from this era of Sammy's career. I have replaced the cassette and the CD twice from excessive wear! In '91, I had split from the fiancee and was determined to "do something" with my life, other than party constantly. I went back to college and became independent...and missed out on this stuff! So I'm sort of rediscovering it. When they came out and played "Poundcake" at the beginning of the MTV music awards it was unreal.Sammy nailed it! I still have it on VHS somewhere.Just finished your book Sam.Nice story of a hardworking American.Been a fan since Montrose.VH way better band, especially live! This is the strongest album of the entire Van Halen catalog! The lyrics and Sammy's vocals are scary good, and it showcases Eddie's playing better than ever, Michael's bass and vocals more than ever and Al sounds like a beast! I was in Fresno on the first night that was recorded for "Live: Right Here Right Now" and these songs sounded awesome live! Favorites included Judgment Day, Spanked, Right Now, Man On A Mission, but I rarely skip past any of them. This album is probably in my top twenty favorite albums of all time. I love this album. Just this one and Balance kick the hell out of the Roth albums. Unforgettable!!! I was lucky enough to meet the band. Of course Sammy and Michael were the best!! This was one of the best albums. Every song is great and with Sammy singing, the lyrics hit my soul. Great sound and even better music. Just can't top this disc. First Van Halen CD I bought was this one. Just loved it. Still do. This is the first album i brought featuring Sammy (also first VH). I was 12 years old when it came out. One day i'd heard "Jump" on the radio, liked the guitar and when browsing through the local music store found this (on tape) and got it. I found this album heavier and better than i expected and ended up loving it. So many great songs, "Right Now", "Poundcake", "Runaround" just to name a few. 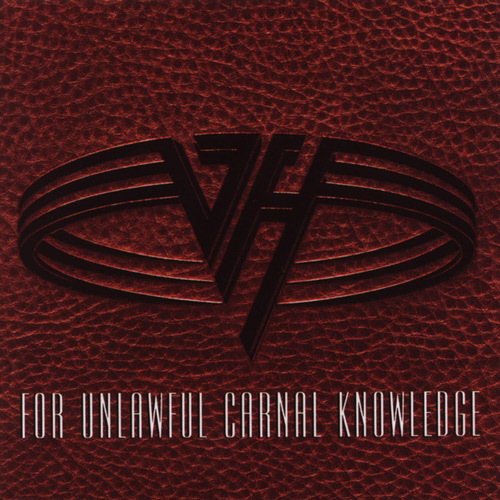 From the first listen i become a S.H and Van Hagar fan for life. Not a bad choice from a then 12 year old music fan. I still think it's a great album! I was only 13 when this album came out and all I remember is the video for "Right Now", and giggling at the naughty word that the title spelled out. Well, I just dug this CD out my husband's collection, blew the dust off...and grasped the full meaning of the title. They oughta sell this CD with boxes of Viagara as a back-up. HA! !